Give your dining space a retro twist! With its aluminium legs and five juicy colours, the Stax provides a fun seating solution for any unexpected guests indoors or outdoors. Place around a Raw Concrete Table for a great contemporary look. 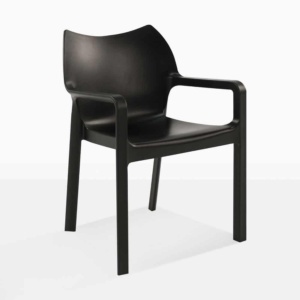 Exemplifying simple style, the Stax Cafe Dining Chair in matte black is a fantastic choice for many different types of areas, and adding to the look of many different styles of table! The simplicity of this incredible, easy to use outdoor dining chair makes eating outside an absolute breeze, whilst giving your dining space a retro twist! With its aluminium legs and a range of statement colours, the Stax provides a fun seating solution for any unexpected guests indoors or outdoors. The Stax Outdoor Dining Chair is easy to, you guessed it, stack! 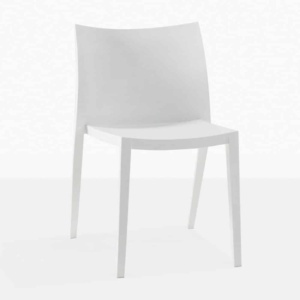 A elegant looking, simple, stylish chair is so useful in any event! Whether it sits at your outdoor dining table or makes an entrance in your study or kitchen, this is the perfect seat to fit into any surroundings! Place 8 of the Stax Black Cafe Chairs around one of our Raw Concrete Dining Tables for a superb contemporary look, make sure you add in a black umbrella from our fixed or cantilever range for ultimate chic, sophisticated dining! 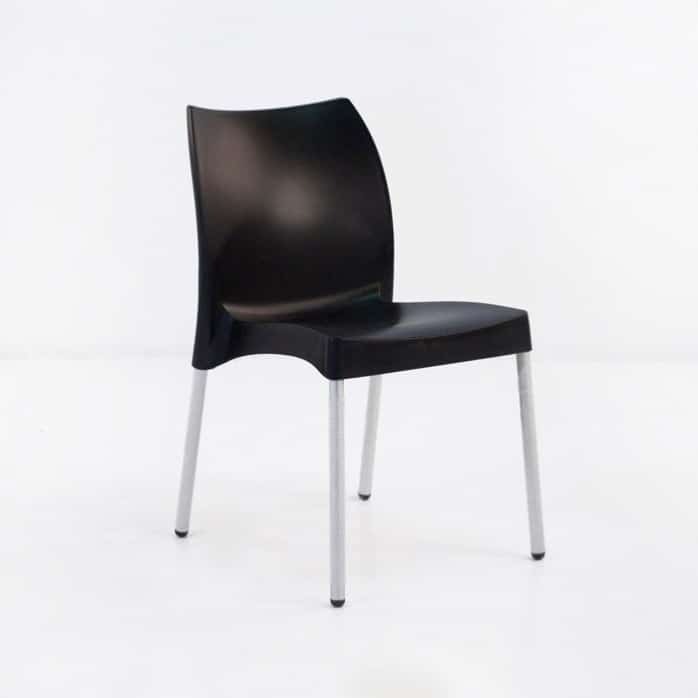 These fabulous Stax Dining Chairs in black are the perfect piece to purchase for seating for your cafe or restaurants courtyard! Resilient, attractive, easy to maintain and at a tremendously low price point. 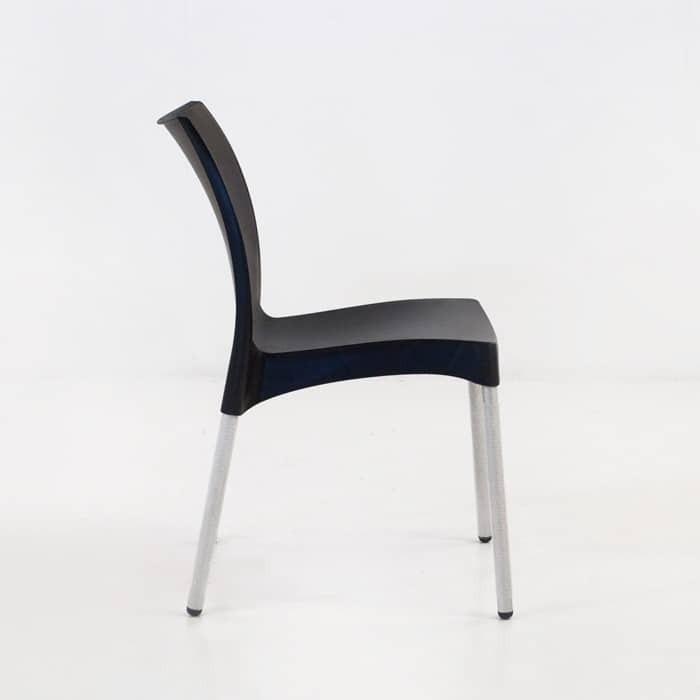 Made out of strong and hardwearing polypropylene resin, with aluminium legs, you’ll find the Stax Cafe Dining Chair not only looks modern, minimalistic and beautiful at your table; it will also stand the test of time in the great outdoors. Just another incredible example of high quality, amazing outdoor furniture from Design Warehouse. We carry an extraordinary range of outdoor, all weather furniture – from the deep seating, to our dining tables and chairs, we have incredible loungers, relaxing seats, umbrellas, accessories and more! It is our privilege to bring you the highest quality, best luxury furniture and all at wholesale prices. 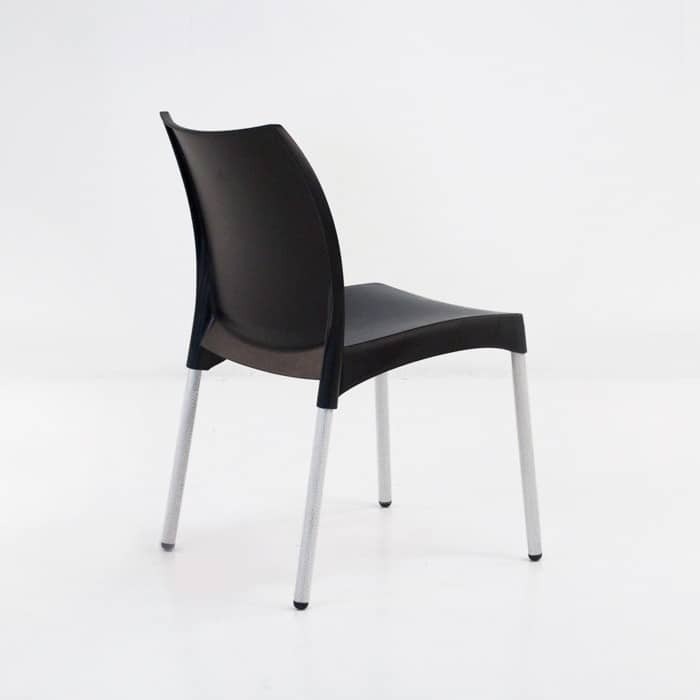 To order a number of our Stax Dining Chairs, call us today!